Home » FAQ » What is FR44? After a DUI conviction in Florida or Virginia, you'll need to know more about what is FR44. Start a quote or call today. What is FR44? The states of Florida and Virginia have two separate certificates for license reinstatement: one for reinstatement for non-alcohol related motor vehicle violations (SR22) and another for DUI – or alcohol/drug related violations (FR44). The FR44 certificate must be filed with the state if a driver wants to reinstate driving privileges after a DUI or DWI conviction. The simple answer to what is FR44 is that it’s a certificate of financial responsibility required for license reinstatement after DUI/DWI offenses. Just two states require FR44 certificates specifically for DUI/DWI offenses – Florida and Virgina. Virgina was the first state that introduced the FR-44 on January 1, 2008, and Florida became the second state to adopt the FR-44 for approving license reinstatements connected to alcohol or drug related traffic offenses. In the states of Florida and Virginia, reinstating your license after a non-alcohol related suspension requires filing an SR22 certificate with the state. For alcohol/drug related license reinstatement you will file an FR44 certificate. For more information about these two kinds of financial responsibility filing, see Florida SR22 FR44 and Virginia SR22 FR44 Insurance. This page of the Florida DHSMV website contains information related to FR44 insurance: Florida DUI suspension laws. The Virginia DMV website provides information related to FR44 insurance and reinstating driving privileges in Virginia. The minimum liability coverage requirements for an F44 certificate are much higher than for an SR22 certificate, especially in Florida. This greatly impacts your auto insurance rate if you own a car. In Virginia the minimum coverage for FR44 insurance is 50/100/40 ($50K bodily injury per person/$100K bodily injury per accident/$40K property damage). In comparison, Florida’s higher minimum coverage requirement is 100/300/50. Why do I need FR44 insurance? The purpose of the FR44 certificate is to make certain that you are always insured when driving a vehicle, whether you own one or not. You are usually required to carry FR44 insurance without any lapse of coverage for 3 years. FR44 is also a monitoring device. If your FR44 coverage lapses at all, your insurance provider must electronically notify the state DMV, filing an FR-46 which cancels the FR44. This results in automatic license suspension of your drivers license once again. One of the most frequent questions people ask concerning what is FR44: “Is it a stand alone insurance policy?” The answer is no. The FR44 does not exist on its own. If you own a car, the FR44 is an endorsement or attachment to your existing auto insurance policy. If you don’t own a vehicle, you will purchase a non-owner insurance policy, and the FR44 certificate will be attached to that. In general, an FR44 Non Owner Insurance certificate (without a vehicle) is cheaper than an FR44 owner-operator certificate (with a car). However, if you own a vehicle you can’t purchase a non-owner FR44 certificate to avoid paying a higher premium. Another frequently asked question asked is, “do I need to continue my FR44 coverage if I move to another state?” Because FR44 insurance is only available in Florida and Virginia, the coverage cannot be transferred if you move out of these states. If you carry FR44 insurance and move to another state, our agents can assist you so you’ll continue being properly insured without interruption prior to moving to the new state. 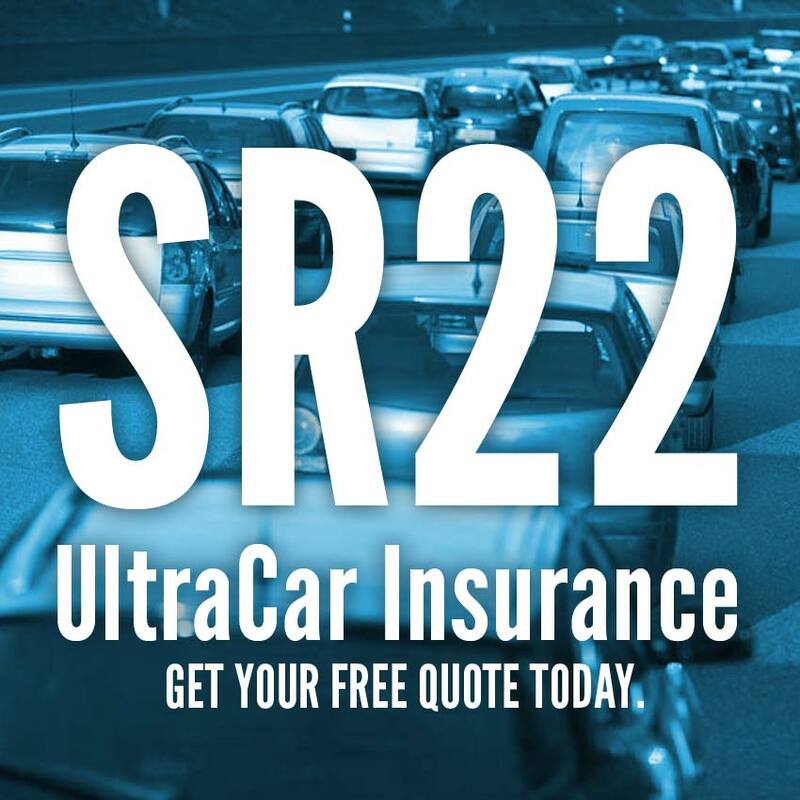 UltraCar Insurance specializes in providing FR44 insurance for vehicle owners, and non owner FR44 Virginia and non owner FR44 Florida for non-vehicle owners. We can answer your questions about what is FR44 insurance. Our agents are licensed in both states, and can offer the lowest FR44 insurance rate possible for your situation. Start your quote now, or give us a call today.